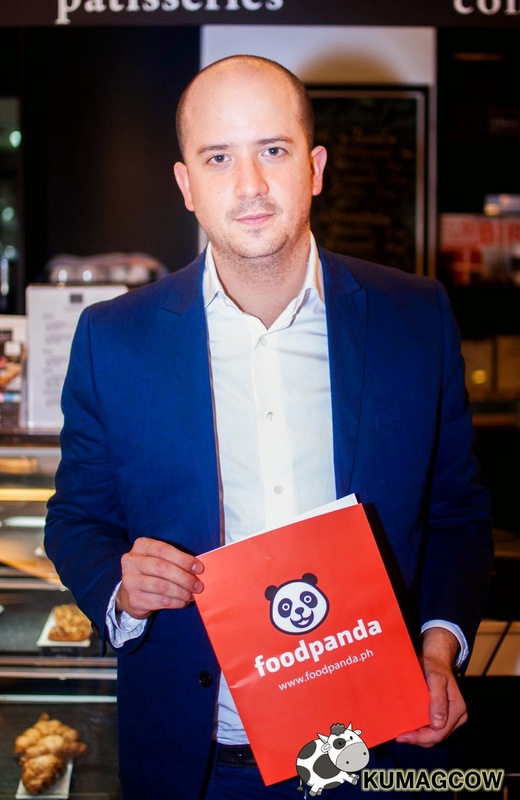 FoodPanda Philippines has a new man on the helm as their new Managing Director, he is Mauro Cocchieri. He also was Managing Director for popular shopping site Lazada Philippines and he's really excited to join the company. They launched last June 2014 and under Rocket Internet and they're just starting. They've been able to accomplish much in the last few months and are eager to expand into different cities. We got to sit down and talk to him in Paris Delice, a quaint French shack in Juno corner Makati Avenue in Makati City. Mauro says "This is quite fun, I am younger than what I look. I'm only 27 years old. I was born May of 1997 in Perugia, a small town between Rome and Florence in Italy. It's very close to Assisi. I grew up there until I was 20, I appreciated the nice life but later on, it felt boring. I grew up middle class and went to a public university. I convinced my parents to invest in me and went to Milan so I could study more. Education there is okay, but I felt I had to go out. I got my business degree there, did 6 months in Netherlands and it was very European. I had my internship in GE and kind of quit a corporate environment. I felt I could do something more, three years ago I decided to join Rocket Internet. I was one of the few German speakers in the company. They were already successful but nobody knew Rocket Internet that much back then. I also founded an online design and furniture company. I stayed there a year and joined Rocket Internet Global Team then got to visit Asia, Europe and Africa because I was with Global Venture Development Manager for Rocket Internet, then Lazada after a few. I stayed with Lazada as Managing Director and handled Operations and Delivery, Customer Experience and Satisfaction. When I joined Lazada it wasn't as popular as this right now. When they opened the post of FoodPanda Philippines, I wanted to grow professionally and joined them. The main value of FoodPanda Philippines this year is city expansion, hopefully to get 10 cities before the year ends. We wish to establish 4 offices in Metro Manila and 6 outside. Food delivery in the Philippines is the hottest business in the moment. We are already in 40 countries and have around 1000 employees or more everywhere in the world. We have a separate office in Jupiter. 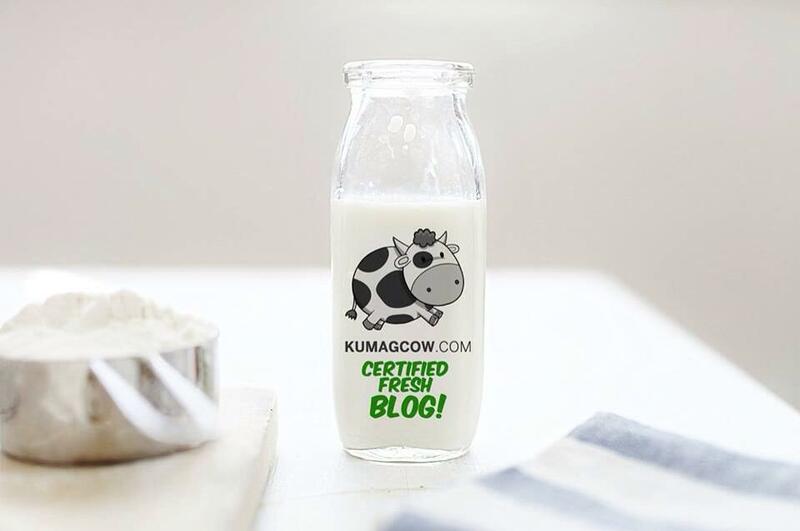 We are faster than other ventures because this market is really booming now and we've gotten a lot of interest from restaurants, brands and customers. We are to provide the best customer experience because our customers are always hungry. It's not much different with what we do with products, but food is an emotional product. They are either very happy or have very bad emotions because it is food. When we deliver, we are more the ambassadors of the customer experience - and not just delivery. We have a restaurant acquisition team and we are here to partner with them if they want to do delivery. We have targeted most on Google and they're surprised that our service work. It's easy to get hundreds of restaurants even in the last 3 months because we have an amazing sales team. The change in strategy with me joining is trying to understand Filipino customers. We don't need so much listings but we'll provide what the customer wants. We tell them what time it gets delivered. If we say the food will arrive in 45 minutes, we will do as is. We've even got requests to deliver in a specific time which we had some OFW's send their families in the Philippines food too by purchasing it off with their credit cards from other countries. We try to do the project and it's completion but it will take some time, we also make the restaurant aware of the importance of delivering on time and what is important for customers and have them satisfied each time they deal with them. That's our goal." 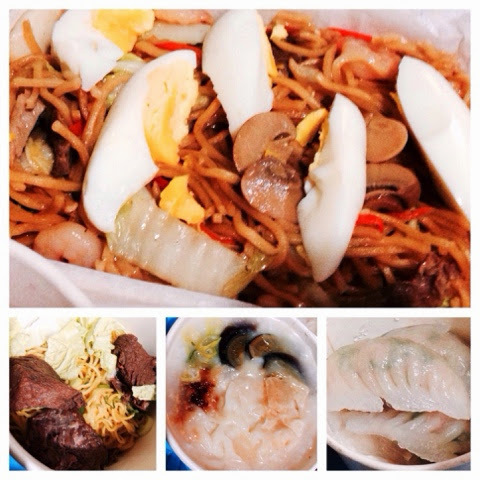 FoodPandaPH has an app both available in the Google Play and App Store. You can install this on iOS and Android devices. There are some features though like the review links that don't work most probably because this is still in Beta. 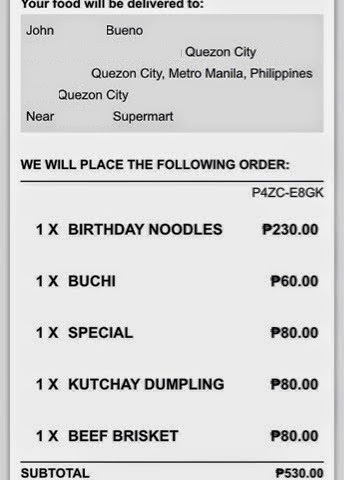 I have friends who have tried the web based ordering system at http://www.foodpanda.ph/. So I'll try the using the one for iOS. The app is easy to navigate and understand. It basically just needs your location since it scans for the restaurants near your area. It also has the menu and price listed conveniently plus the minimum order for every restaurant. You can put everything in the basket and pay for it on checkout. Their credit card, paypal (oh yes bloggers your prayers have been answered!) and cash on delivery payments is very convenient especially for either those who are in the office or at home. You'll get a breakdown of your order too sent to your email after all the transactions. One you place your order and proceed on checkout, you would need to fill up your details if you choose to not login. If you don't have an account yet, the app will ask you to enter a password later on if you've finalized the orders. 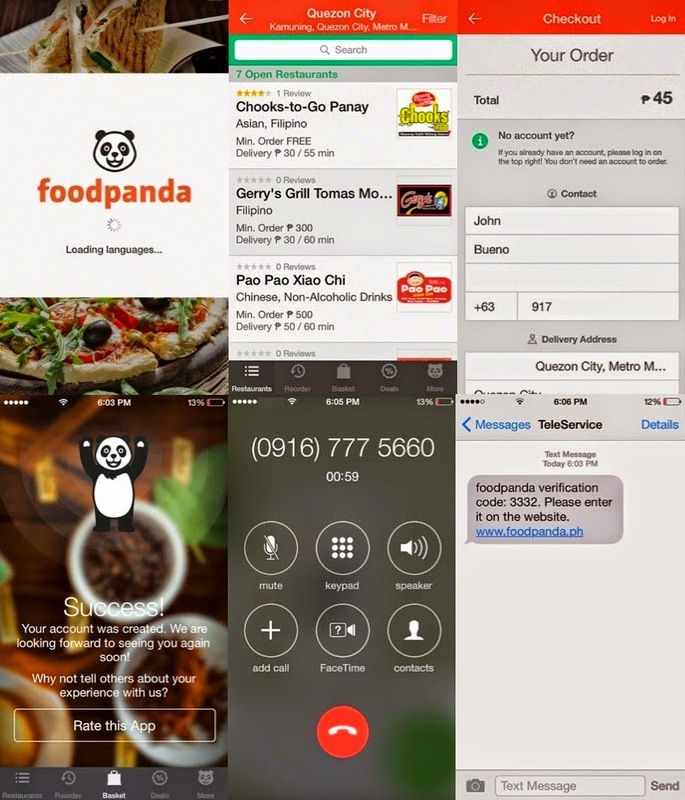 Once you submit it, you'll receive a verification code on your mobile number and FoodPandaPH will call you. They will confirm your order and tell you the estimated time of arrival for your order, more like a rundown. You know the good thing about it? Delivery for the restaurant I chose was FREE. Actually, almost everything I saw there had free delivery. That's neat because it doesn't cost an arm, leg or kidney unlike some delivery services I know. The food arrived earlier than expected, fresh, hot and fast! FoodPandaPH is the best thing since sliced bread. It's convenient, it's going to have more restaurants on it's list pretty soon and you'll get great deals without leaving your humble abode. So the next thing you should do, is hurry and download the application on the App Store and Google play. It's like my go to thing now if I'm hungry, it's pretty popular in other countries too. Don't take my word for it, use it when you plan that next meeting or if you just feel like ordering take out in Metro Manila, soon the whole Philippines I hope!